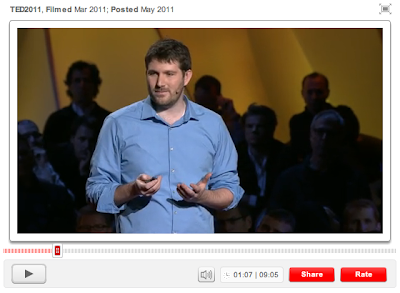 In this TED Talk, Eli Pariser pulls back the curtain on the filtering techniques of Google and Facebook, reminding us that your news and information is now being filtered by someone else. Searches now bring up information tailored to you—so two people sitting next to each other and searching for the same thing will get entirely different results. Pariser says the torch is being passed from human gatekeepers to algorithmic gatekeepers, which don’t have imbedded the ethics that humans are capable of. Right now these algorithms decide what we get to see—and what we don’t get to see—based on relevance to us. What they don’t show us are differing points of view, information that is important, uncomfortable and perhaps even challenging—creating a reality with us as the center. Pariser suggests that these algorithms must be coded in a way that supports a sense of public life, a sense of civic responsibility—and that they are transparent enough so that we can both understand and have some control over the kinds of information we access. This 8-minute video is a must-see.